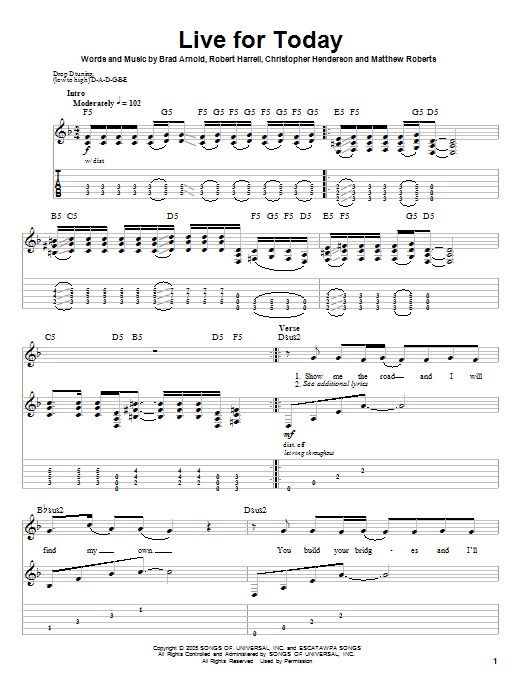 Live For Today guitar tab play-along, as performed by 3 Doors Down. Guitar tab play-along version based on the official, artist-approved notation. Need help reading standard notation or guitar tab? See our notation legend. Or if you need beginner guitar lessons online, try one of our six beginning guitar programs.